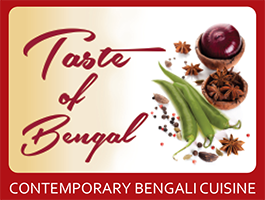 We at Taste Of Bengal aim to bring all of our customers the very best value for money, services and food around Surrey. Give us feedback. Reply : thank you John for your feedback. Excellent service . Food ready at exact time. 1st time users of your takeaway service last night and won't be the last!! Really impressed, really delicious and that's coming from a couple of food snobs! Well done....please keep up the great standard! Nice food thank you Ali. Regularly use this firm for take away food. We use this service fairly regularly, and are always satisfied with the service and the food. last meal we had was great, so we're ordering again! Excellent quality food and a fast delivery time. Highly recommended. Excellent delivery and dine in. Quick delivery and lovely staff!! Good quality food for both takeaway and eating in! !